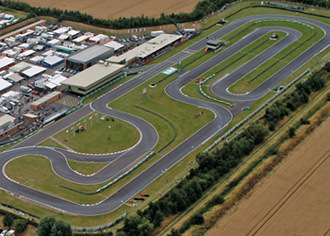 The PF International Kart Circuit is mega-popular amongst the owner-driver set and it's not difficult to see why. Apart from the fact that the track is fast and demanding the facilities are second to none and it is a truly great place for a corporate event. Head southeast on Barnby Gate toward Sherwood Avenue then take the first left onto Sherwood Avenue. Take the first right on to Beacon Hill Road then turn right to stay on Beacon Hill Road. Continue on to Beckingham Road and at the roundabout take the third exit on to Beckingham Road/A17. Continue to follow A17 and after 4.5 miles turn right onto Stragglethorpe Lane - destination will be on the left.